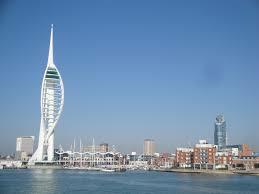 The existing customer relationship between RBS Scaffolding and the Brymor Group continued very successfully into being awarded two major projects in Gunwharf Quays, Portsmouth. The first being a large-scale fire damage repair contract on the Round Tower apartment block and the project we are featuring today titled as STARQ, both managed by the Brymor Special Works Division. The scope of works for the STARQ project was to completely redesign the existing two restaurants on the 1st-floor level and refurbish them into four smaller restaurants. The external works included a complete change to the 1st-floor terrace comprising of new high-quality slabs replacing the timber decking, a new balustrade, and a slight change in the curved edge to the terrace. The front façade above 1st-floor level was also completely refurbished including a new extension to one end. 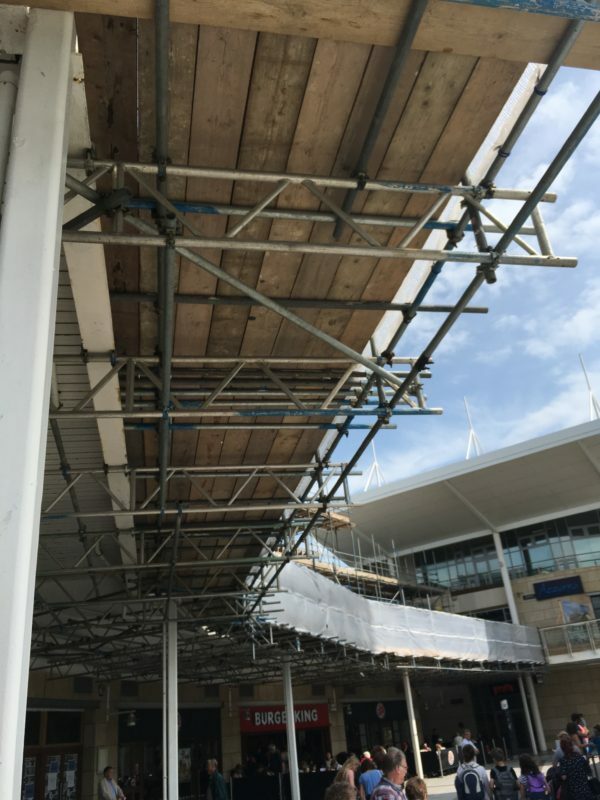 The biggest factor in this project concerning the scaffold was to allow the works to progress safely, but at the same time allowing totally uninterrupted access for the public to the restaurants at ground level beneath the terrace. The initial plan was to erect support towers in front of the steel columns and then bridge between these towers to give the working platform at the base of the balustrade. 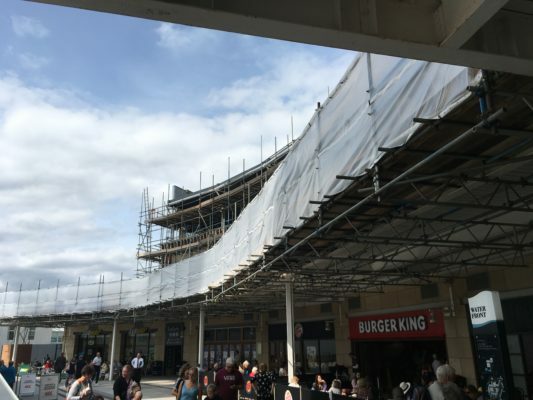 The estate owners of Gunwharf, Land Securities, then asked Brymor if it was possible to redesign the scaffold so there was nothing blocking the view to the ground level restaurants as potential customers walked around from the main marina. 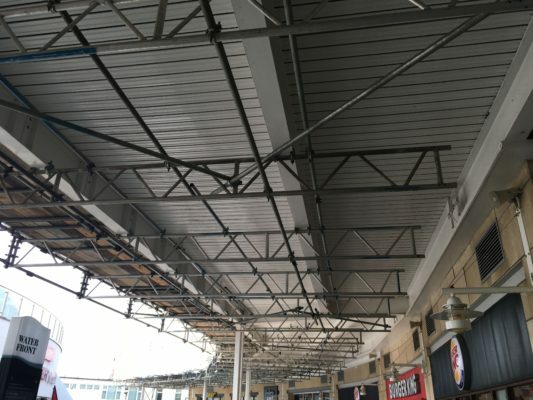 The RBS Commercial team met Brymor on site and solved the problem by changing the design to fix prefabricated aluminum beams to the underside of the terrace steel, which extended out past the balustrade to support the working platform. To maintain full public safety the scaffold works were also carried out before the restaurants opened in the mornings. The fact Brymor could show Land Securities they could solve the problem served well to strengthen their customer relationship, and once again showed Brymor they could have total trust in RBS rising to the challenge when the planned works changed, and that we are always willing to offer our input and suggest options that can help the success of the project. The operatives on site lead by Dean carried out the work to a superb standard as recognized by the client as shown in the comment below. I just wanted to write you a quick email to thank you and your guys for all of the hard work and effort you put into the STARQ project. This has been a tricky little project with a lot of awkward areas to scaffold but you have never let me down once. There was areas with interaction with the public and out of hours work but this was never an issue. 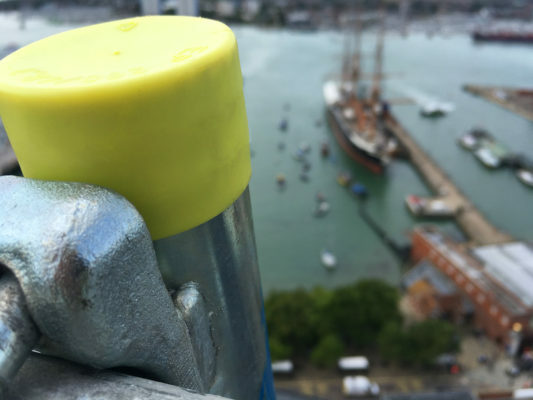 There were times when I called in the morning asking for a scaffold adaption and had a team there the same day. I couldn’t ask for anything more than that. Your guys on site have been a pleasure to work with and have made my job that little bit easier with it. Dean and his team were brilliant during the works and nothing was too much trouble. It was nice to having the consistency on site. Jason did a great job before he left and Martin has carried on along the same lines. Please, can you pass on my thanks to the lads we had on site and I look forward to working with you all again in the future.